£3.99 is what one of my mid 70s LPs cost. Nearly 7% of my weekly pay. Prices do double every 10 years in real terms (try comparing food prices!) and so counting on... 80s, 90s, 00s, and now, so £3.99 became £8, then £16, then £32, and now £64! So that's why £30 sounds expensive for a vinyl LP! Long live vinyl! Boo to UK PLC managers (the idiots at Westminster). 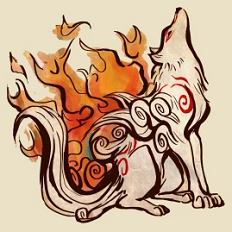 Although I did recently buy a limited edition 4LP boxset for the video game Okami for £75 even though I have nothing to play it on. Bought it for the artwork and have been enjoying the FLAC download supplied with enclosed code. Graham's point about inflation is well made. I would venture than the shrinkage in confectionery items was paralled with cheaper and recycled materials in mass produced records. I still buy new records but usually remasters like the Kate Bush LP's that came out this month. The vast majority of my LP purchasing is from charity shops rather than car boot sales but Ash's earlier point is a good one. Aside from the record handling in place of pressing a play button, the record sleeves and reading material are a lot easier to read than those in CD's. In fact I just rip my CD's nowadays but still have a CD player that is connected to the Majestic's DAC. I like to buy a lot of second hand records but local sources are disappearing. There used to be 5 or 6 independent record shops in Tunbridge Wells. Now only 1 survives & that is due to close any day. Shame as I only like to play vinyl at home. You’d think there’d be a ready market for second hand vinyl. Here in the U.S., the second hand vinyl market appears to be doing well but the trend at shops I have noticed over the last few years is the prices going up and the condition of the vinyl going down. This is especially true w/r/t any popular record like common/popular classic rock titles and so on. There are limits to what I will pay for any LP and condition is paramount for me. I get around this by going against what is trendy. I've focused more on less popular bands and artists, or under-appreciated records from well-known artists. For example, 50s and 60s hard bop is really hot right now here, especially certain artists and labels. Early pressings of the most desirable records have reached insane pricing levels and the less desirable pressings are inflated as a result, not to mention the ever present condition issues. So what do I do? I focus on 70s jazz, especially less appreciated artists and titles. To me this stuff highly undervalued outside of a handful of artists and labels. Same thing with select titles from the 80s - everyone assumes there was only Kenny G style smooth jazz in the 80s so hardly anyone is buying it.